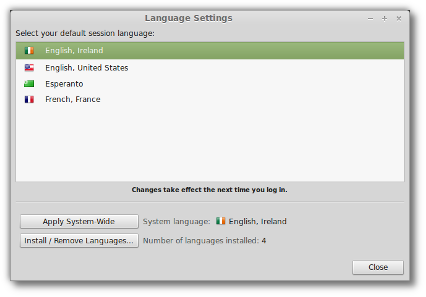 A new "Language Settings" tool was introduced. 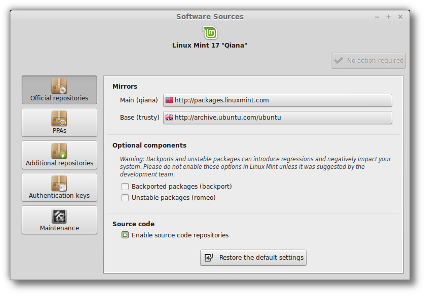 It replaces "Language Support" as well as the Cinnamon "Regional Settings" module and unifies locale management in Linux Mint and LMDE for Cinnamon, MATE and Xfce. 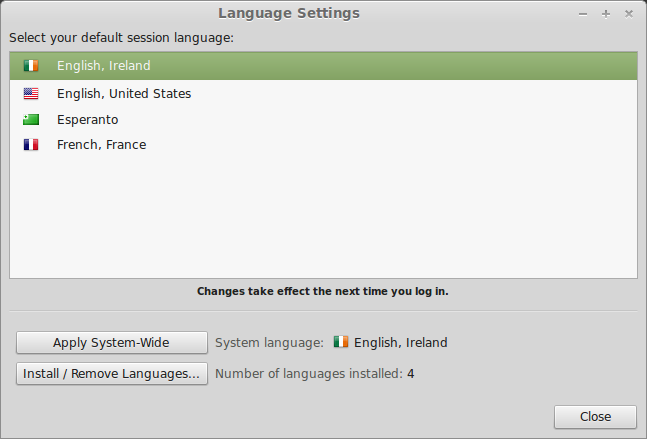 The tool makes it easy to select a language, to apply it system-wide, and to install additional languages on the system. 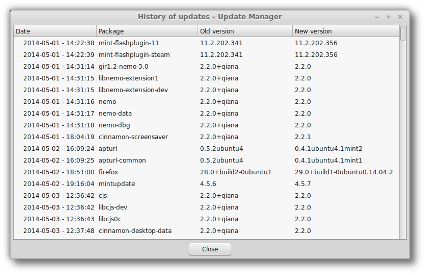 The graphical interface for System Settings was refined and settings now look more consistent. 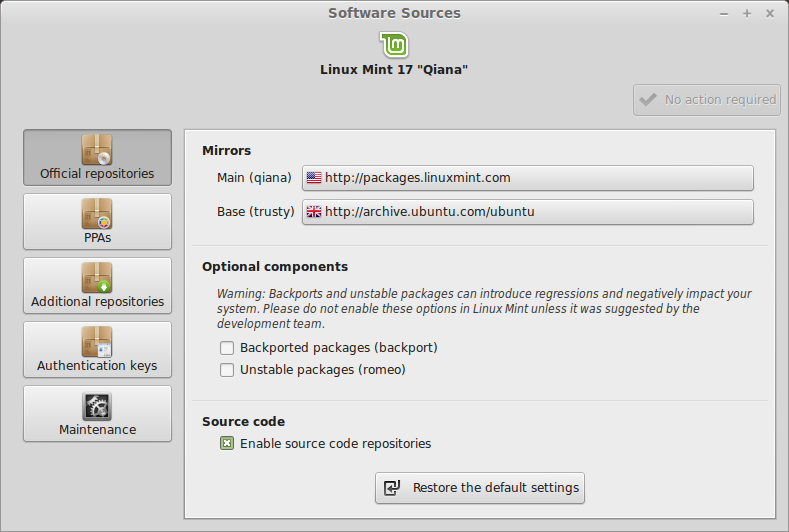 Settings are better categorized and separated into sub-sections. This allowed us to remove the switch between normal and advanced modes and to show all settings all the time. The settings for the Screensaver and for Power Management were very confusing. Some settings were absent, others weren’t presented clearly and some were described in a way that led to believe they worked differently than they actually did. Power management and screensaver settings were completely revamped in 2.2 with a clear separation between what relates to the Lock Screen and what belongs to Power Management. 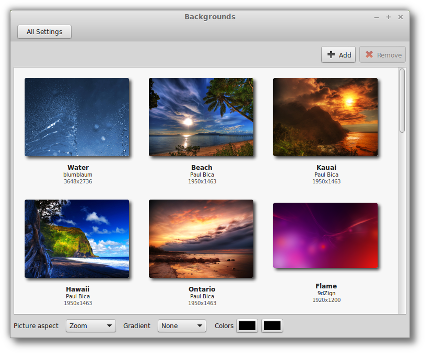 Brightness settings were also improved, missing settings added and the overall presentation was reviewed. 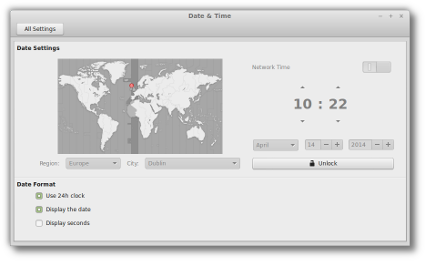 The original date and time module was brought back, using policy kit and system-wide date setting. 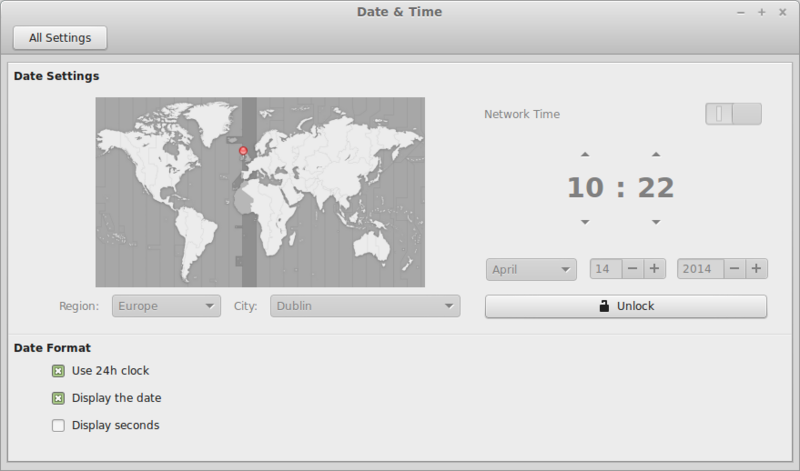 Options such as “Use 24 hour clock” were also added and apply not only to Cinnamon’s calendar applet and clock desklet, but also to the screensaver. Cinnamon’s snapping functionality and workspace management are pretty unique. They might be too advanced for novice users but they’re great once you’re used to them. With that in mind, it’s important to raise the user’s awareness about these tools but without getting in his/her way, and it’s also important not to confuse the user by activating them by accident. The HUD is now less intrusive and should only appear if you drag a window really close to the edge. As cool as snapping can be, you don’t need to be reminded about it every time you’re a bit slow moving a window around. Hot Corners were given better settings. For each corner you can now define whether to react on hover, on icon click, or on both. The hot corner module is also less confusing and more discoverable than before. This allowed us to disable the top-left hot corner by default, which was often triggered by accident by people who weren’t familiar with it. 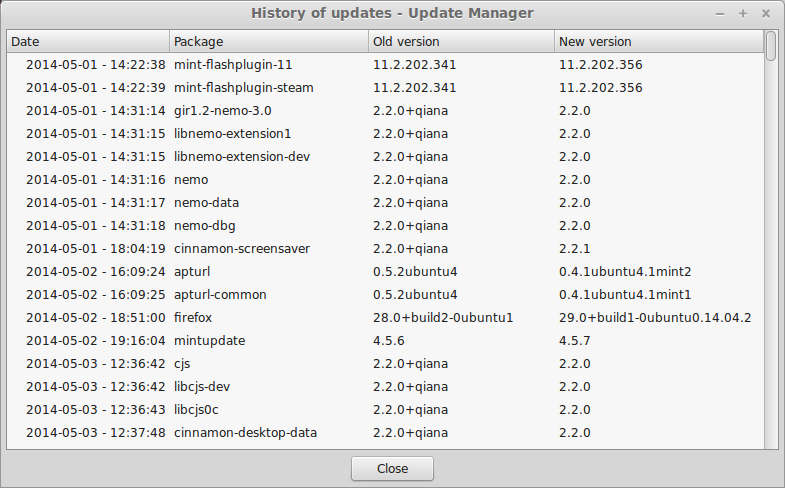 Previous versions of Cinnamon came with a hardcoded list of systray icons to hide. Icons such as the one for Network Manager, or Banshee were typically hidden as their functionality was already covered by the network and sound applets. In Cinnamon 2.2, this list is gone and each applet is able to register “roles”, i.e. 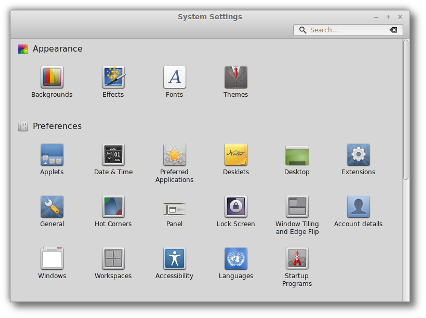 to tell Cinnamon which functionality they take care off, and thus, which systray icons should be hidden when they are running. These new roles enable Cinnamon to dynamically show relevant systray icons when applets are removed, or to dynamically hide them when applets are added. 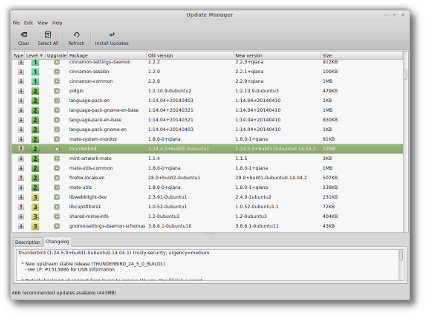 Say you remove the network applet, well… you’ll see the Network Manager GTK systray icon appear. 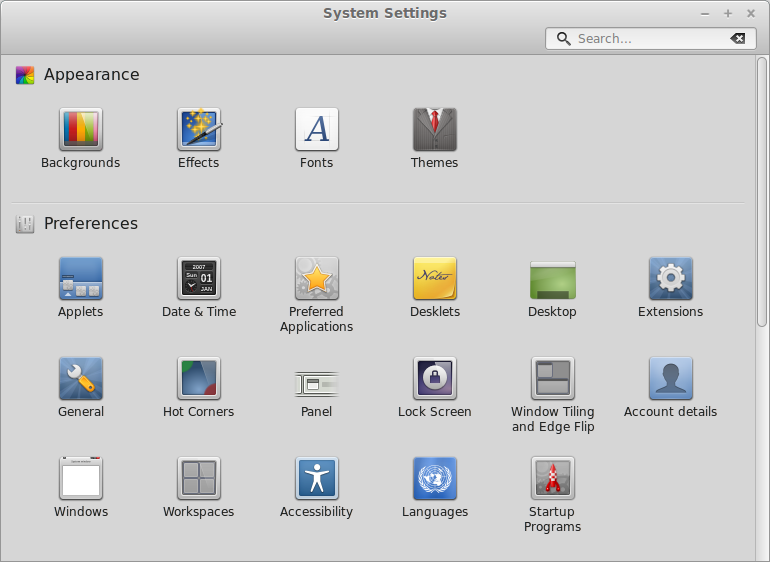 Say you put the network applet back in the panel, the Network Manager systray icon will then disappear. 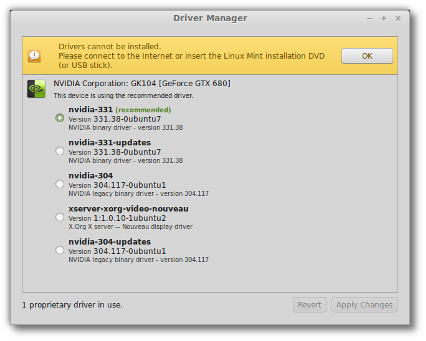 Right-click an application and select “Uninstall” to remove it. 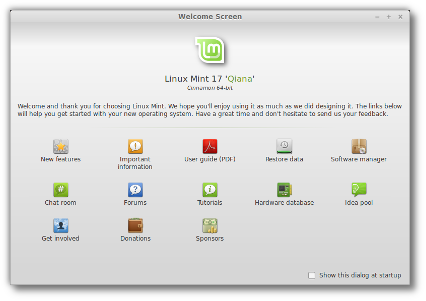 Newly installed applications are now highlighted in the menu. Cinnamon 2.2 was given MPRIS support, so you can interact with MPRIS compatible software not only from the sound applet but also from your multimedia keys. The sound applet can now show the track name and the cover art of the song you’re playing, in the panel itself. It’s also possible to tell the sound applet whether to hide or to show systray icons for multimedia players. The “wacom” plugin is back. It’s fixed, dropped its branding and is now called “Graphics Tablet”. Visually impaired users will enjoy the ability to zoom in and out using Alt+mousewheel. The magnifier needs to be activated but it no longer needs to be disabled, i.e. 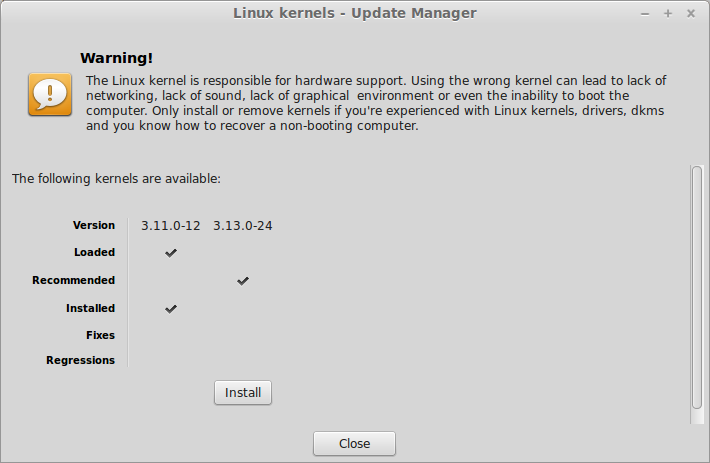 you can keep it running even when zooming at 1:1 and it won’t eat any CPU cycles. 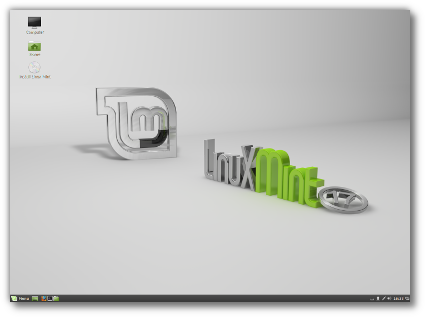 You can now shade windows or change their opacity by using your mouse wheel on their titlebar. A quick roll of the mouse wheel makes your window semi-transparent so you can see what’s happening underneath without the need to tile things or to use Alt-tab. 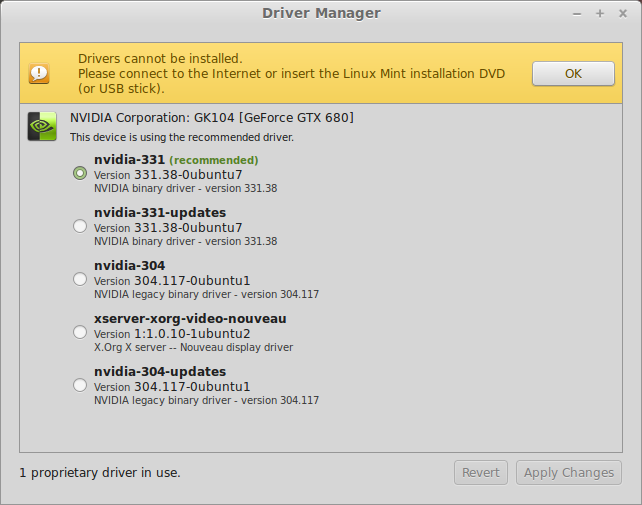 This option is available in the “Windows” module. 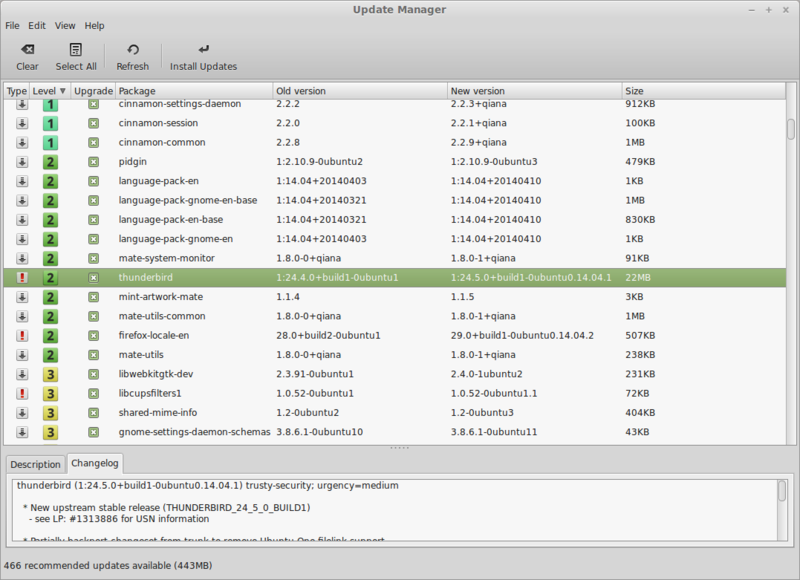 Cinnamon 2.2 adds full support for GTK Client Side Decorations (CSD). 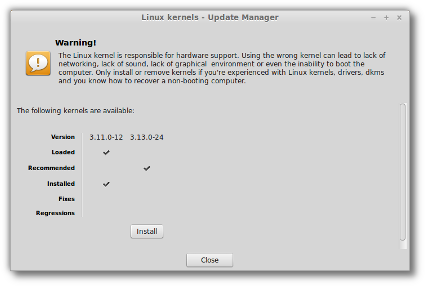 We do urge developers though not to overuse these, as they don’t work well in other desktop environments and they don’t integrate well with other applications. Hexchat replaces Xchat as the default IRC client. 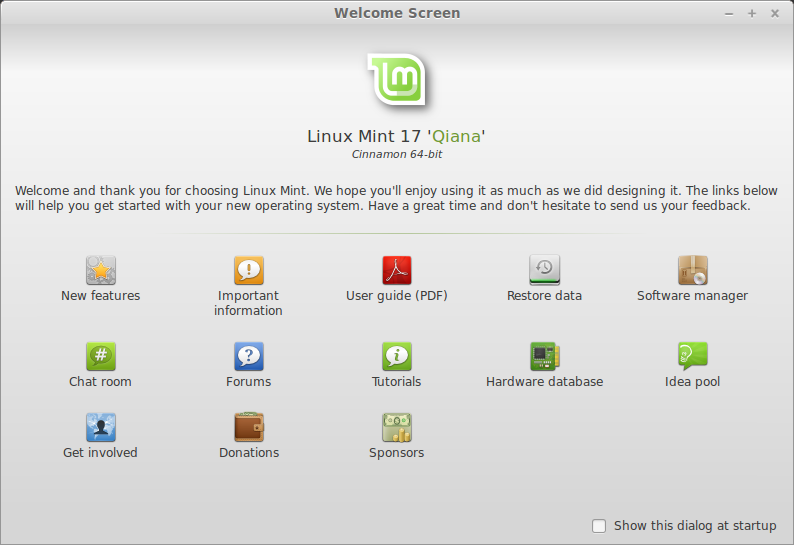 The Mint-X theme is improved with every new release. This time around it was completely revamped. 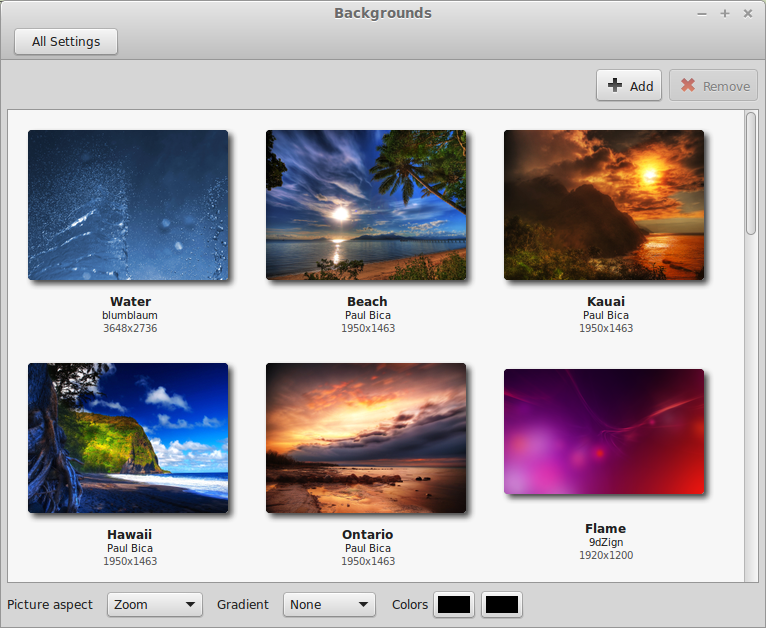 It features the same feel as before but with better tints, better widgets, and more consistency between toolkits. 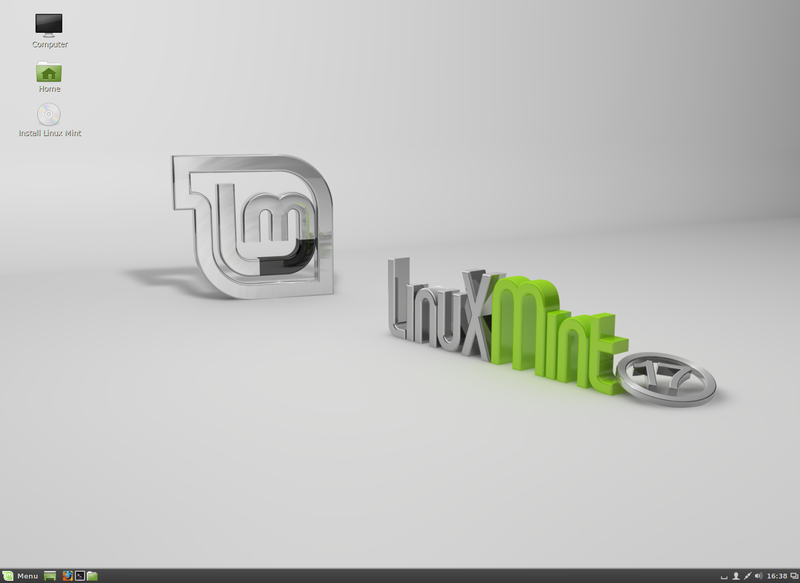 Linux Mint 17 features Cinnamon 2.2, MDM 1.6, a Linux kernel 3.13 and an Ubuntu 14.04 package base.